Eric Schafer is a commercial real estate broker that uses a personal approach to help landlords and tenants achieve the best possible outcomes for their real estate portfolio. Since 1999, he has represented; local, regional and national tenants to find spaces that meet their office, industrial and retail needs across California. Mr. Schafer has specifically represented local and national property owners in the leasing, sale and acquisition of properties within the San Francisco Bay Area. He also specializes in helping property owners strategically plan the future of their properties. Prior to working in commercial real estate Mr. Schafer was an project manager for a Los Angeles based construction company managing tenant improvement and ground up construction. His last construction management project was a 40 unit apartment building with subterranean parking. He used his project management knowledge and understanding of tenants and landlords to launch a career in commercial real estate. Mr. Schafer takes a structured approach in his real estate business. He designs and builds spreadsheet analyses, marketing materials and market research reports for his clients that are personalized for their situation, and that incorporate current and future market trends. For example, he performed a sales comparable trend analysis for a property owner that demonstrated a potential future market value which was not anticipated by competing brokerage houses and was achieved within 3 percentage points. These materials have been pivotal in his ability to advise his clients and assist them in making the best decisions based on their own business and real estate strategies and needs. · Placement of Stewart Title Company into 2 retail/office locations in San Francisco. Currently, Mr. Schafer is working with a variety of clients that are looking to determine the best strategy for their real estate assets including a well-known retailer, a high end home furnishing company, and a prominent New York family with national property. 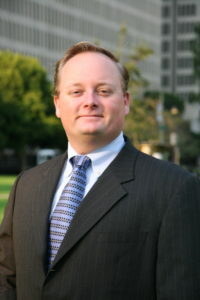 In 1995, Mr. Schafer received his Bachelor of Science in Agricultural Business with a Minor in Finance and Appraisal from The California Polytechnic University, San Luis Obispo. In 2010 he completed his Master’s degree at University of San Francisco in Business Administration.